Pancake Breakfast at Delaware Academy School. 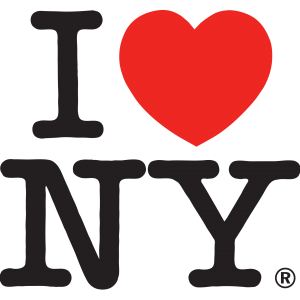 To celebrate all things maple, New York State Maple Producers Association organizes an annual Maple Weekend. It’s a chance for the public to come to the farm to learn about New York’s maple sugar making processes and traditions and to provide a chance to taste pure maple syrup in its many forms – right from the source. Farms offer tours, demos, family-friendly activities, and pancake breakfasts, and many will schedule school or group tours. Check each farm’s listing to see what they offer. They will be demonstrating how maple syrup is made on our new oil-fired evaporator. We continue to remodel and update our sap house, so we always have new things to see. Come sample our delicious syrup, have us give you a tour and learn how maple syrups made! Pancakes will be served by local 4-H clubs from 9am to 1pm. Suggested donation is $4/person to help support camp scholarships in memory of Terry Kaufman. Learn the process of making syrup and enjoy the flavors of maple. Syrup and maple products will be available for sale. Hope for sunshine, be prepared for mud! 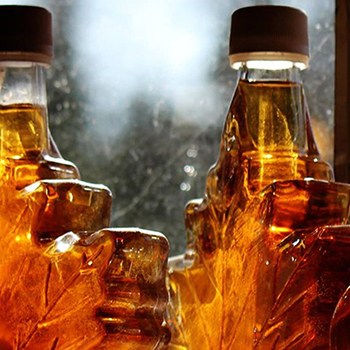 Come & experience Dar-View Maple’s Tradition of six generations of Pure Maple Syrup Production. Taste free samples of Maple Products and enjoy free farm tours. Fun for the whole family! Ongoing demonstrations of how pure maple syrup is made, starting fromthe maple tree all the way to your table. Tour our working dairy farm and pet the farm animals. Visit Madugno A4 Maple to learn about the process we use to turn sap into syrup. Follow the sap through the tubing to the collection tank, and then tour our saphouse. Become a sugarmaker yourself as you stir up some maple candies to sample. Be sure to stop by the maple shop to purchase syrup, cream and candy. We look forward to sharing the adventure with you! They will be boiling and canning syrup – come see their setup which includes reverse osmosis. Enjoy a pancake breakfast! Hours: 8am-12pm for breakfast. The facility will be open until 4pm. Come join us and bring the kids as we love the exuberance of discovery. We have eight children of our own, all involved in the operation. Tour our brand new sugar house with its blend of old and new as we expand to24,000 taps and 200 miles of pipeline. Free hot drinks and pastry are available as you watch demonstrations of syrup, candy, maple cream and granulated maple sugar making. There will be plenty of samples to go around and there is nothing like warm syrupright out of our 5 by 16 ft. evaporator. An added benefit are the farm animals. Last year we had goat kids born that needed bottle feeding. By the way, did we mention THE VIEW! One of the most beautiful locations in upstate New York. We will have the evaporator in operation demonstrating how maple syrup is made. There will be tree tapping demonstrations. Join us on a horse drawn wagon ride to the woods to see the sugarbush! There will be samples of our maple products for you to taste. Meet the maple farmers and see how we make Tree Juice Maple Syrup. Enjoy free tours and tastings and stock up on their sweet stuff. “Traditionally made but deliciously new.” Tree Juice Maple Syrup is made in the Catskill Mountains of New York on a family farm. We believe in following tradition by boiling our maple sap on a wood-fired evaporator. This produces an unrivaled 100% pure all-natural maple flavor. We use aging and infusing techniques with natural ingredients to create unique flavor profiles that will leave you wanting more!